Raised in Milwaukee, WI, but currently living in Los Angeles, Ca, Kid Cut Up has been honing his unique, dance-floor-packing style at over 300 events a year for the past decade. Arguably his hometown’s best-known and most well respected DJ, Cut Up has developed a loyal following and helped many of Milwaukee’s most popular clubs get their jump. 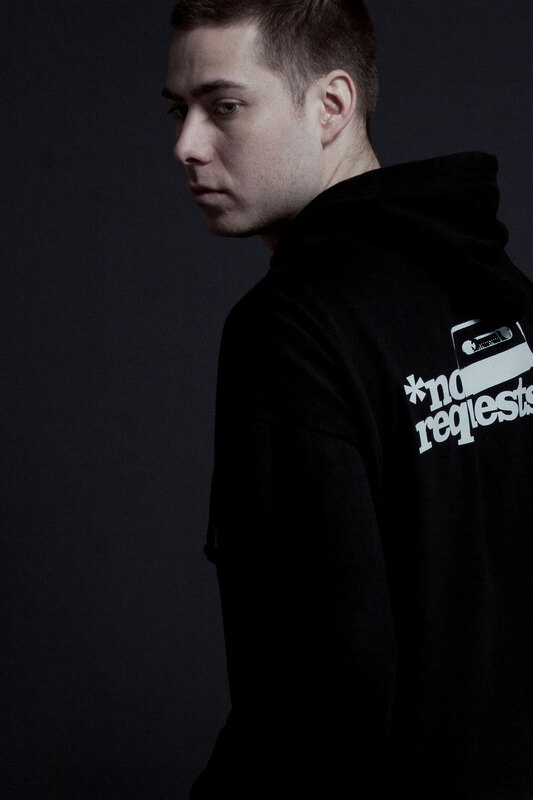 Cut Up’s dedication to his craft has culminated in a personal style that encompasses exclusive cross-genre remixes, turntablist skills and crowd interaction. His success in the Midwest continues to serve him well after his move to LA in 2011. Laying claim to up to 5 weekly residencies at any given time, Kid Cut Up never sleeps. Traveling extensively, he has performed at notable venues such as Eden (LA), Winstons (LA), The Dime (LA), duckduck (NY), Evil Olive (CHI), Subterranean (CHI), Lava (CHI), Funky Buddha Lounge (CHI), First Avenue (MN), Honey (MN), DinkyTowner (MN), Turner Hall (MKE), the Pabst Theatre (MKE) and the Majestic (MAD). 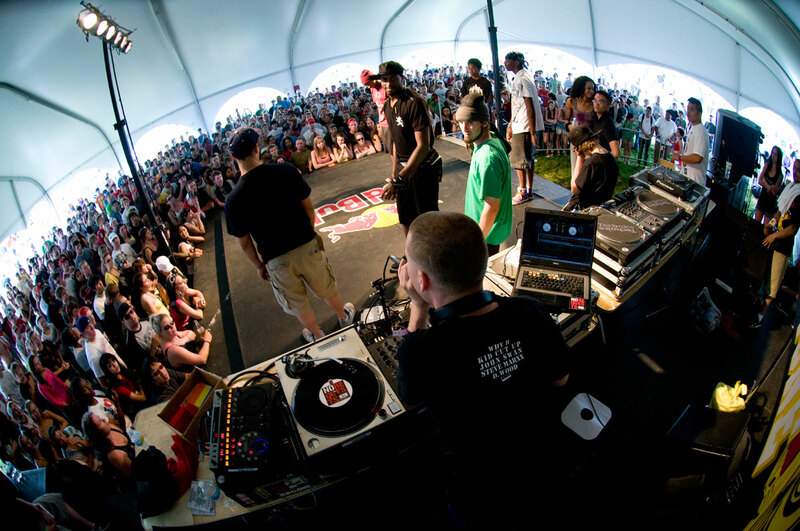 He has performed at festivals such as Summerfest, Scribble Jam and has appeared at all four meetings of Soundset, to name just a few. 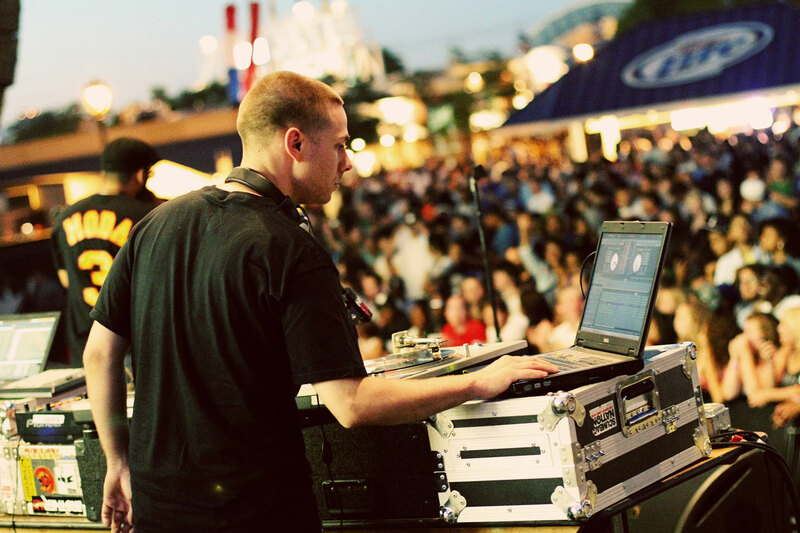 In that time he has performed with Z-Trip, N.E.R.D., Kid Cudi, Wiz Khalifa, Atmosphere, Pitbull and many others. Read more about Kid Cut Up at kidcutup.com. 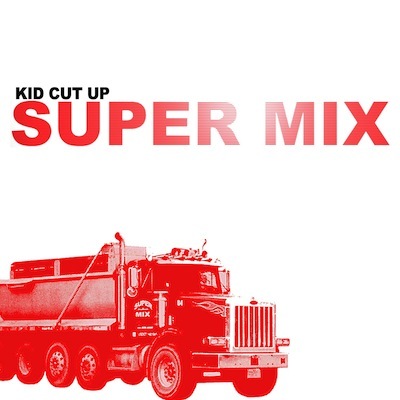 Kid Cut Up:The first piece of music that I could call mine was a dub of Metallica’s “Ride the Lightening” album. The first piece of music I ever bought on my own was Another Bad Creation’s “Coolin at the Playground” album… in a weird way my DJing still illustrates that initial immersion into music. As I was getting older and making my own choices about music I was into Ska and Punk and later Hiphop. Most of the other genres that I use in my music I learned through their application in Hiphop music. This would include older Rock, Jazz, Soul and Funk. Hiphop has always be a place where it can all come together and make sense. One nation under a groove! Which is weird cause now people try to sell this as “Open Format” DJing. When really it’s just been how Hiphop DJs have always played… from Grandmaster Flash, Kool Herc, and Bambaataa all the way through Jazzy Jeff and Z-Trip. Brad: Do any of the younger fans recognize the classic rock samples? Kid: A lot of what DJs are doing when they read a crowd is tapping into collective experience and cultural consciousness. So as a DJ, I’m making choices musically that I feel will resonate with a given audience. For my Super Mix series I aim for music that people can relate to in a general way, music that is decently well known to a fan of popular music from the past few decades, but with a fresh twist on them. Sometimes that means making them more updated and modern sounding. Other times that involves using a combination of songs to show a link between generations or genres. Brad: Could you tell us briefly tell us what it’s like touring or doing shows with DJ Jazzy Jeff? Are there other high profile artists you’d like to work with? Kid: Touring is a blast… Super fun. But it’s also the ultimate test of what you have been working on. It’s one thing to get up in front of a crowd filled with your friends and local fans and get support. It’s another to get up in front of a crowd where no one knows who you are… and might not even care initially. Home field advantage is real! But only by getting out of my comfort zone do I find that I can get the best feedback on what’s working for a crowd or not. As a DJ who takes chances and it always fine tuning things, it’s an important part of my editing process to hit the road. As an opener, it’s always a great opportunity to expand your fanbase and its inspiring to see DJs who are in the position we all wanna be in. I’ve learned a lot over the years from watching how headliners program their sets and handle a crowd. I’ve also learned a lot from little random things… like watching them soundcheck! All these little things add up to who that artist is and how they have achieved their success. Most of these guys out here aren’t just lucky and it’s not an accident. It’s really based off A LOT of hard work. Brad: Has STL been good to you? Large turn-out(s)? Positive audience responses? And decent merchandise sales? Kid: St Louis is a great place to play. I’ve done shows here for the last couple years, and have recently been trying to make it out at least once a month. The turnouts have been great and its always been a super fun party vibe. I always look forward to having dates in the area on my calendar! Brad: Did you feel like you had “arrived” when you landed on Kanye West’s blog? 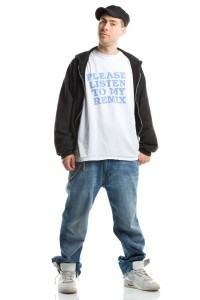 Kid: Doing the promotional mix for Common’s “Universal Mind Control” album was a great experience. Big shout out to 247HH.com for getting me involved in that. When it hit Kanye’s blog it got over 10,000 hits in just a couple hours. Across the web it climbed to over 100,000 really fast. It was crazy to me how quickly the internet carried that mix to fans. I still get people who come up to me and say they heard of me from there first. The internet can be such a powerful tool if you can rise about all the noise on it. Brad: My daughter, who’s 16 years old, I read your bio to her; and, she had Kid Cudi and Wiz Khalifa on her iPhone, both of whom you’ve performed with…I told her she’ll soon have Kid Cut-Up on her phone. She really liked Super Mix. Kid: Finding healthy food on the road is hard actually! The best thing I’ve learned to do is just use food stores instead of restaurants. A lot of meals can be easily assembled with a little bit of planning. It’s generally healthier… and cheaper. Hotels with refrigerators in the room are where it’s at! Kid: I think most artists want their work to be exposed to as many people as possible, without losing their initial motivation or inspiration in the process. Of course I’d like my hard work to be highlighted more, but mass appeal isn’t always the goal either. It’s awesome to have an audience that feels passionate about your art, but the size of that audience doesn’t validate the work or determine its value. Kid: Well… I recently found out that its expensive to fly a blimp overhead, so I’m looking into skywriting planes. That’d be awesome. Brad: I was going to ask you about your feelings on explicit lyrics…then I listened to some of the mixes… Would you consider compromising some questionable lyrics with radio edits in exchange for commercial success or do you believe it would diminish the artistic integrity of the original mixes? 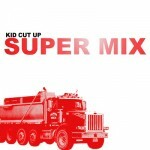 Check out more about Kid Cut Up including calendars, videos and more at kidcutup.com.